"Perhaps the race of serpents cannot be reconciled with that of humans." This volume is the eleventh of a series of twelve dedicated to Magre’s works. 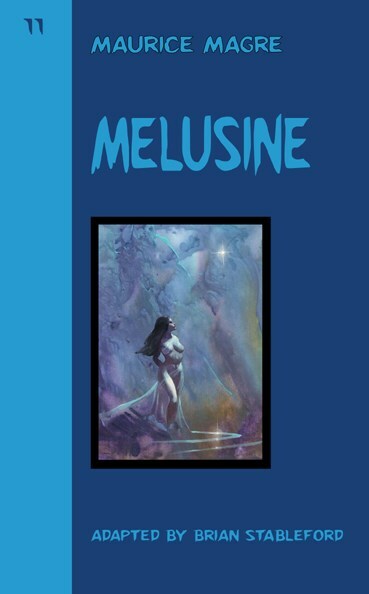 Melusine(1941) mingles a number of mini-essays and prose-poems with a continuing first-person narrative that, although clearly fictitious and exceedingly rich in the fantastic, is proffered by an unnamed protagonist who is clearly an alter ego of the author. Mélusine might be Magre’s swan song, and its delicate imaginative flourishes the last gasps of his prolific and fecund imagination. His revision of the classic legend of Mélusine of Lusignan is ingenious and the visionary sequences depicting the protagonist’s communications with nature are vividly effective, and demonstrate that Magre’s poetic gifts had not waned.